Venom Uni Plug 2.0 « Big Squid RC – RC Car and Truck News, Reviews, Videos, and More! One of the biggest problems that we have around the office is too many different connectors. It seems like every pack in our garage has a different type of connector on it. It also seems that way for every one of our trucks, LOL. 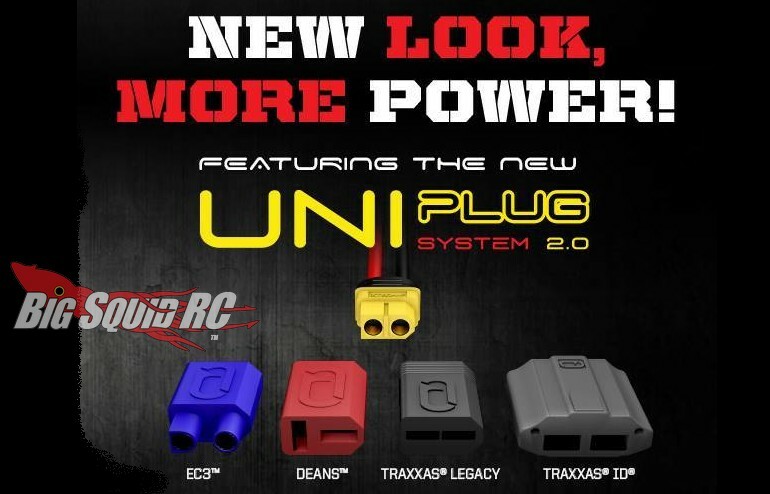 To fix this common problem, the folks at Venom have announced the second version of their Uni Plug. The updated Uni Plug 2.0 is now easier than ever to use, plus you can get adapters to work with EC3 plugs, Deans connectors, as well as Traxxas iD and legacy connectors. The Uni Plug 2.0 system can help make your life easier by making it much simpler adapting over to different styles of connectors. To get more details on the Venom Uni Plug 2.0 system, hit This Link to make the jump over to their official website. Hit This Link to read more Venom news right here on BigSquidRC.